In the Philippines, having white skin gives a person unspeakable advantages. You will be admired by many, envied by some, and get the perks that those with brown skin tone could only wish for. Although most Filipinos are born with nut-brown skin, our society has taught us not to be proud of it. After all, our actions are shaped by the standards set by society and here in the Philippines, white is synonymous with beauty. Several Filipino movie stars, for example, are either born mestizos or became like one through the help of expensive bleaching procedures. Even the images of Jesus, Sto. Niño, and Mama Mary we worship every Sunday look like Caucasians. Needless to say, Filipinos worship those with milky white skin–literally and figuratively. But historically speaking, how did we end up with this distorted perception of beauty? Is this a sign of colonial mentality or an inferiority complex brought to us by our Spanish colonizers? Skin whitening: A fad or a social curse? Filipinos are not the only Asians obsessed with getting fairer skin. 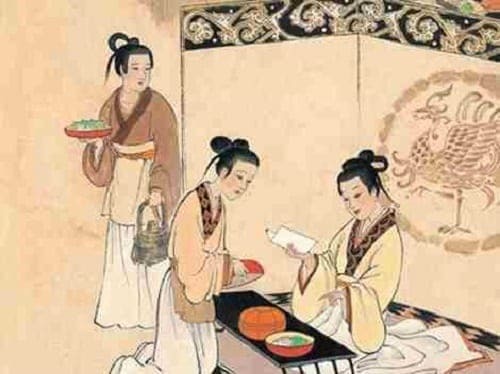 In China alone, skin whitening has been practiced since ancient times. Such was their desperation that they were misled to take pearl powder mixed with hot water every day in hopes of improving the radiance of their skin. The same skin color hierarchy permeated the Western culture during the seventeenth and eighteenth centuries. The superiority of white skin over slaves with darker skin tones was so prevalent that some aristocrats applied lead oxide powder to their faces just to set them apart from the working masses. At that time, they also started to use “blue blood” (“dugong bughaw“) to refer to members of the aristocracy whose skins were so fair they made their blue veins extremely visible. Ironically, the white skin would start to become inferior to the bronze skin at the turn of the twentieth century. Westerners who used to put a high value on pale skin faced a major turning point: they now equate sun-tanned complexion with wealth, giving rise to the ‘bronze skin’ phenomenon. While the value of pale skin had slowly diminished in the west, the superiority of white skin remained in Asian countries, specifically the Philippines. In her research published in the journal Sociology Compass, Prof. Margaret Hunter said that light skin tone is valued by Filipinos due to their European colonial history. More than three centuries of colonization had given Spaniards enough time to inculcate in our ancestors that they’re second-class citizens in their own country. A mestiza de sangley in a photograph by Francisco Van Camp, c. 1875. When Spain invaded the Philippines, the colonizers brought with them the idea of skin color hierarchy. Dark skin was associated with poor laborers who had to work outside just to make ends meet. Those in the upper class, however, had lighter skin either because they’re mixed-race Filipinos or they’re wealthy enough to not work under the hot sun. In other words, it was the Spaniards who brought us the idea that our culture and natural skin color were inferior to theirs. 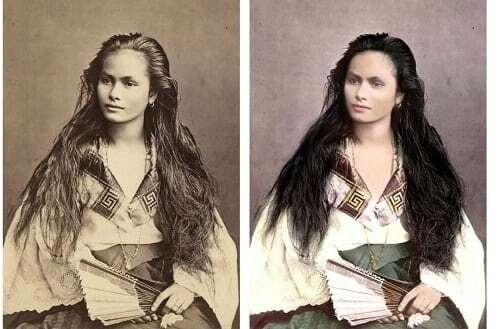 Ronald Hall also suggested that the ‘bleaching syndrome’ is the result of “the historic legacy of slavery and colonialism” which has led us “to valorize light skin tones and Anglo facial features.” It’s small wonder why Rizal introduced us to Doña Victorina, a fictional “social climber” in Noli Me Tangere who used excessive facial powder just to look more like Caucasian. This probably explains why most Filipinos today desire to get whiter skin, but not to look exactly like a Caucasian. In other words, we are already proud of our Asian features and all we want is to improve them. However, what most consider as ideal “Asian features”–i.e. fair skin, jet-black hair, almond-shaped eyes, etc.–were somewhat influenced by Western ideals as well. For example, most endorsers of skin whitening products in the Philippines are mixed-race Asians. Looking back at the history of Filipinos’ obsession with whiter skin, one can only wonder if this attitude is too deeply ingrained in our culture that it can no longer be corrected. While there’s no definite answer, one thing that this phenomenon has proven is the idea of beauty may differ depending on where you are. Remember, whiter doesn’t always mean better. More often than not, the idea of “white is beauty” is not propagated to empower you, but to let skin whitening companies profit. David, R. (2008). The ‘epidermalization of inferiority’. 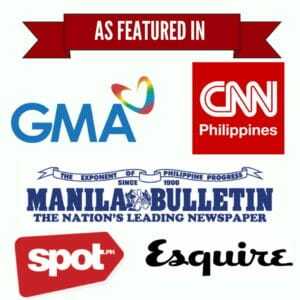 [online] INQUIRER.net. Available at: http://goo.gl/NSz9jP [Accessed 2 Oct. 2014]. Glenn, E. (2009). Shades of Difference: Why Skin Color Matters. 1st ed. Stanford University Press. Hunter, M. (2007). The Persistent Problem of Colorism: Skin Tone, Status, and Inequality. Sociology Compass, 1(1), pp.237-254. Leong, S. (2014). Who’s the Fairest of Them All? Television Ads for Skin-whitening Cosmetics in Hong Kong. Asian Ethnicity, 7(2). Besides acknowledging the sources, Who wrote this article? I wrote it. If it’s written by someone else, I would have indicated it. Thanks. — Luisito E. Batongbakal Jr.
Pingback:Marxismo at Kapootang Panlahi Ngayon | learning is Awesome!